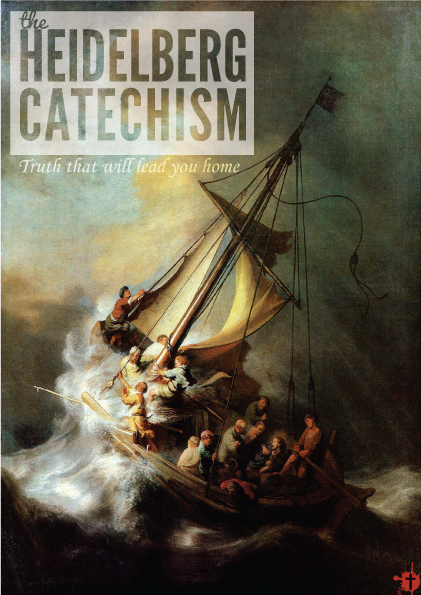 The Catechism is like an orchestra, where each doctrinal teaching (piece) is carefully arranged and worded to give the Christian faith its full shape (masterpiece). When taken apart, each doctrinal teaching and Q&A could act as a set piece but the key is in how all of the pieces fit togther and reflect what the Word and Scripture says smoothly and without contradiction about what the Christian faith is all about. The Catechism teaches us to master each set piece and section but also challenges us to see how it flows from one to the other in the way string instruments might give way to percussions. An example would be how the Catechism's doctrine of God informs what the doctrine of Man should be as drawn from the Word and how Providence though not mentioned in the Bible per se is evident through the drawing together of how God has, is and will uphold all creation according to His good purposes. When we say that we believe in the Holy Scriptures then one must be able to read its distinctions between categories (e.g. salvation, sanctification and justification). Yet see its connections and unity that there's no contradiction and all the parts form the whole Word of God (orchestra) as in the case of the truth that God is a triune God (the Father, the Son and the Holy Spirit) who's not modalistic because he did not change from being the Father to the Son and now is the Holy Spirit but exists forever as the three Persons in unity and distinction. The more you think about it, it is likely that the Holy Spirit intended for these synthesis of systematic theological truths to be part of the Christian heritage and richness. We would do well to appreciate and pass on the teachings lest we shortchange future generations of Christians of their rightful theological inheritance and a solid foundation of their faith. As their minds are shaped to conform to the mind of Christ so will their actions and innovations be more godly and secure against the dithering waves of bad doctrines and philosophies. In summary the HC is more than a sum of parts. It's more like a super-interrelated composed harmonious masterpiece of compressed theology! It kinda clicked when I bought an electro-orchestral album from Daft Punk. They did the soundtrack for Tron: Legacy. Have a listen and read the HC, perhaps the Holy Spirit will teach us if we're humbly submitted to discipline our minds to His training on what it means to be ambassadors while we await Christ's return.